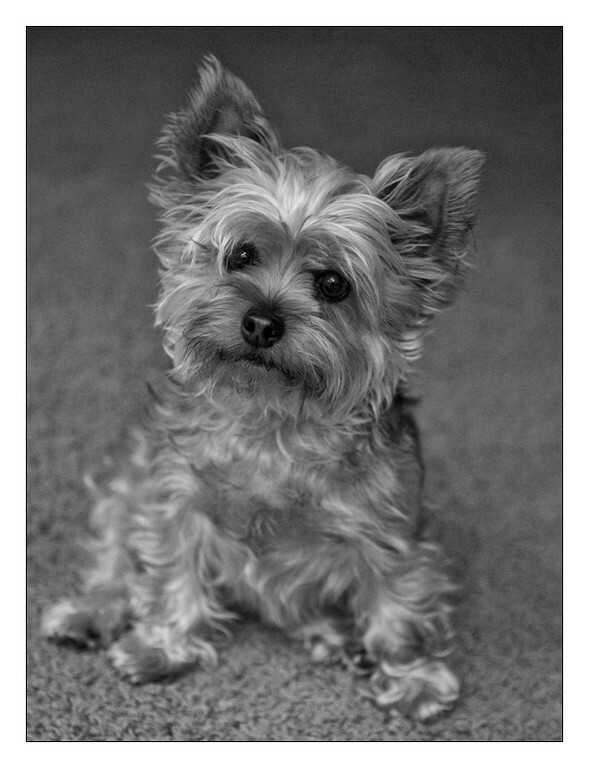 She was a showgirl, or a Yorkshire terrier. I think they're pretty much the same thing. This is Lola who belongs to my friend Chris. We has a post-Thanksgiving get-together at her place this afternoon and while she slaved away in the kitchen I took Lola's portrait.